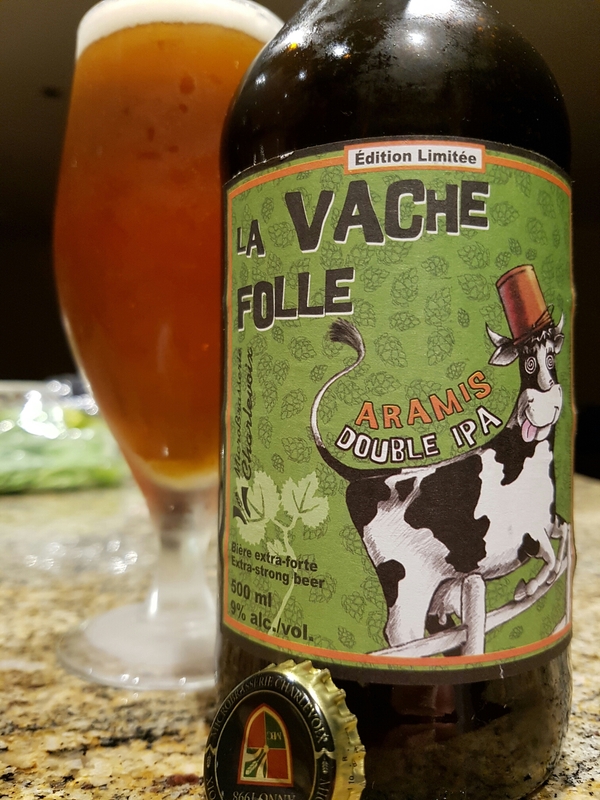 La Vache Folle Aramis Double IPA – Microbrasserie Charlevoix (Quebec, Canada) | Justintoxicated. 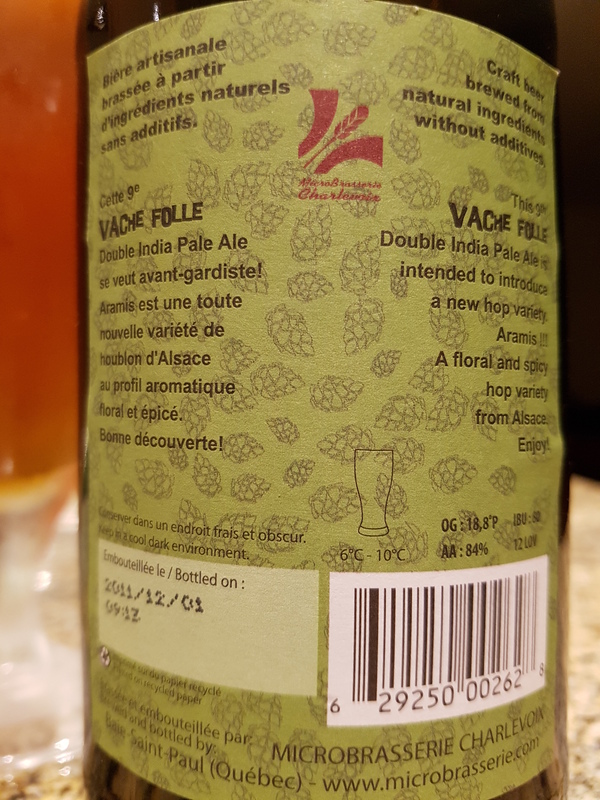 This 9th Vache Folle Double India Pale Ale is intended to introduce a new hop variety. Aramis !!! A floral and spicy hop variety from Alsace. Enjoy! Taste: Alcohol zingy-tangy partial dark fruit apricot sweet barley malty tongue numb dry bitter hops. Visual: (cellared for 4 years). Pours translucent orange-brown with a small 1mm lasting creamy head, hazy creamy islands for retention, half-sticky lacing, clusters of steady and fast streams. Finish: tongue numbness, nutmeg, alcoholic heat, dry short bitter hops. Summary: Very tangy-zingy for a IIPA, also quite alcohol forward. It doesn’t quite have that uplifting counterbalance for the 9% ABV to make it truly exceptional.